Whether aboard your yacht gently cruising the waves or moored at port, wishing to treat yourself to a moment of serenity? 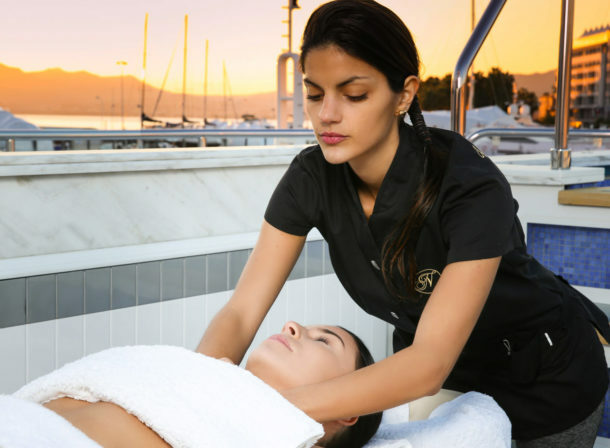 I am at your disposal to bring to you the best of a Californian massage, either at dock or at sea, whilst at the same time you can enjoy a relaxing and idyllic setting. Embark on a journey where all of your senses travel to horizons flooded with serenity and well-being.